I’ve been debating whether to watch this movie or not. To be honest, I read the entire plot summary online before seeing it. It took me a couple days but I eventually saw this with my mom. It was pretty good. The plot is straightforward and it’s filled with enough drama to make you teary-eyed. This movie reminded me of how short life is. You never know what will happen in the next moments of your life. It’s scary when you think about it. That’s what struck me most about this movie. 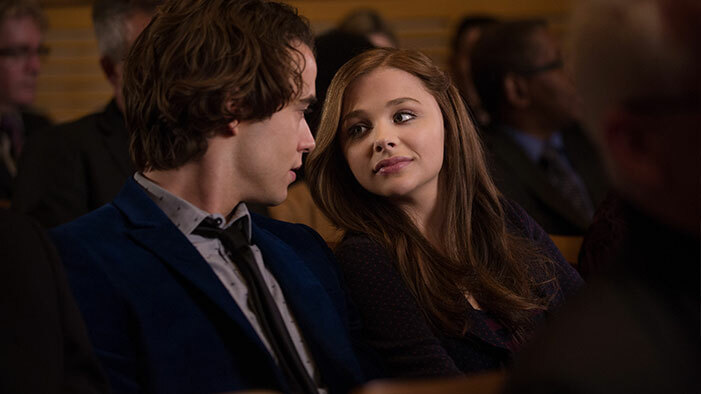 Chloe Grace Moretz plays a timid young girl, Mia. 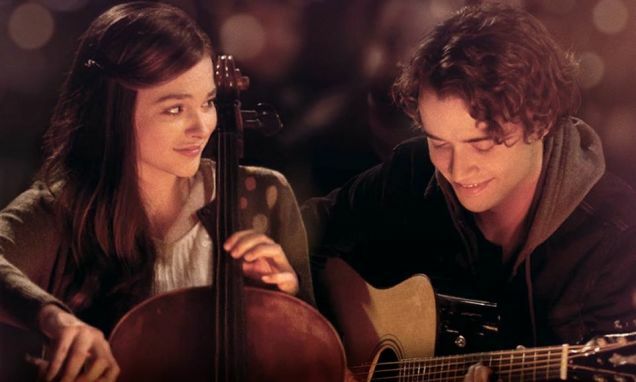 She’s a talented cellist who falls in love with a rocker named Adam. Adam had his life all figured out. Remember those days when life was uncertain and you had no idea what you wanted to do for the rest of your life? Well, that’s where Chloe was. She was talented but didn’t have the drive to do what she was born to do. Play the cello. It wasn’t until her Grandfather suggested she apply for Juilliard that she goes after what she really wants. This is where Adam and Chloe hit a rough patch in their relationship. They separated for a while and didn’t see each other. The scenes in this movie are arranged in sequences of flashbacks mixed in with the present. The movie starts with Chloe seeing an article in the local paper about Adam. A few minutes later there is a flashback about how Adam and Chloe first met. Then to the present again where you first hear about Chloe waiting to hear back from Juilliard. Chloe and her family then take a trip to her Grandfather’s farm. School had been cancelled due to the snow and they took this opportunity to visit. And since the roads are icy, an oncoming truck swerves and collides with them. After the accident Chloe has an out-of-body experience and sees EMTs at the scene. She doesn’t realize this at first and she starts to look for her family. She happens upon her own body on the ground. At this point, she is confused and decides to board the ambulance back to the hospital where she is to be taken. She hears about happened to her family later in the movie and her only hope of coming back to life is her brother Teddy. But when she finds out that Teddy didn’t make it, she loses hope and her own condition worsens. Now that her family is gone she feels that she has no reason to live. Adam eventually gets to see her and tries to convince her to stay. In his desperation, he tells her that he will move with her to New York just to be with her. Chloe then opens her eyes and the movie ends. I can’t even imagine what Chloe had to go through. It’s a terrible thing to lose a family member, and she lost three. It’s a touching film about love and loss. It’s simple but nice. Let me know what you think if you’ve seen it! Hi, I just watched this one on the new year’s eve . And, actually I liked it pretty much. Chloe was really cute, and I’m a fun of punk rocks, best of all , it’s her grandpa. What he said made me cry softly, you know. Where I live, there isn’t such a honest , gentle, and heartwarming person like him here in Japan. Plus, the fact she was the girl in other movie “500days of Summer ” made me shocked. Because I loved that movie too. PS: I think your review is so wonderful!